It can be a complete nightmare to keep track of your cryptocurrency investments and trades. I know from personal experience. I started with Excel but found that even with a small (<200) number of trades, it was hard to actually use this information to make good decisions (e.g., when to buy and sell). I found I was wasting loads of time sorting this out too. Sound familiar? There are loads of options out there (I’ve listed all the ones I know of at the end). Some are gems, but others are complete trash. In this post, I’m going to rank the best 5 cryptocurrency portfolio management and tracking apps (or sites) of 2018. I’ve tested numerous alternatives to CoinTracking, but no other cryptocurrency portfolio management app is packed with as much (useful) functionality. No alternative even comes close. My #1 favourite thing about CoinTracking is that it automatically imports transactions from over 30 cryptocurrency exchanges. For exchanges or marketplaces where automatically importing transactions isn’t possible (e.g., Localbitcoins), you can easily manually import them. This makes tracking your cryptocurrency portfolio nearly automatic. Browser-based, but has a mobile app. Supports over 5500 currencies (i.e., everything). 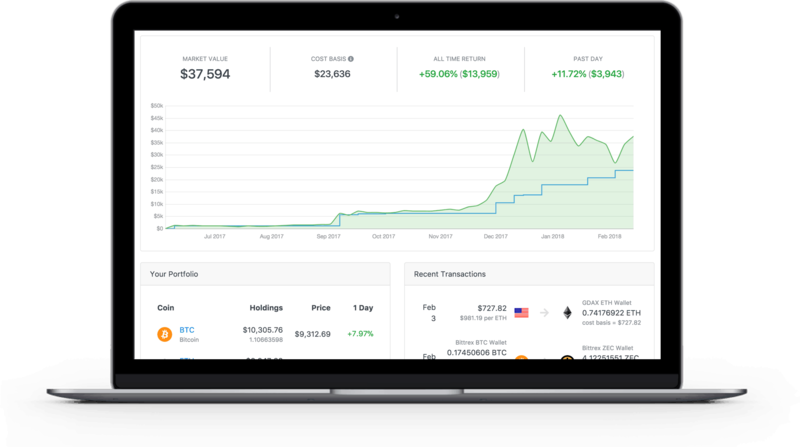 Generate reports of your cryptocurrency trading/investment performance. Generate tax reports (based on your logged transactions). There’s a catch: the price tag. For the basic upgrade (to PRO), it costs approximately £59/year. That sounds like a lot, but that’s actually cheaper than leading alternatives like Delta.io (£64/year) or AltPocket (£120/year). What CoinTracking offers is miles ahead. CoinTracking has over 315,000 users. I’m happy to be one of them. It’s not appropriate for everyone, but you should check it out. Delta slid into the cryptocurrency scene in September 2017 and was positioned as an alternative to Blockfolio (the #1 mobile crypto portfolio management app). After a barrage of updates, I’d now consider Delta the new king. Mobile (iOS and Android), but has a desktop app. Automatically import transactions from 11 popular exchanges. Maximum of 2 connections (unless you upgrade). Delta is free to use, but you can upgrade to ‘Delta PRO’. For most beginners/casual users, the free version will be enough and you’ll never need to pay a dime. 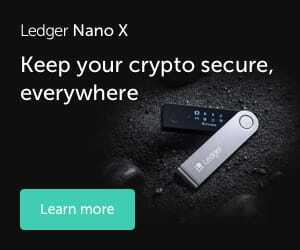 If you want to unlock all the restrictions (e.g., automatically import transactions from more than 2 exchanges), you’ll need to upgrade (£64/year). Compared to CoinTracking, I don’t think that’s good value. While I’d consider Delta the superior mobile crypto portfolio management app, Blockfolio is still a good option for beginners or casual users. Mobile (iOS and Android) only. Signal (development updates from crypto teams). Blockfolio’s developers are working to add automatic imports from popular exchanges, but I couldn’t find an ETA. I heard murmurs of a browser-based version too, but couldn’t find anything solid. CoinTracker.io is quite barebones, but I really like it. You can automatically import your transactions from 15 exchanges (listed below) and track the performance of your portfolio in an attractive UI. All for free. Does it offer many bells and whistles on top of this? No. But it does the basics well. If you’re looking to make calculating your tax obligations easier, they have an integrated service which automatically generates your tax forms. CoinTracker is browser-based and I’d definitely recommend giving it a shot. What exchanges can I automatically import transactions from? 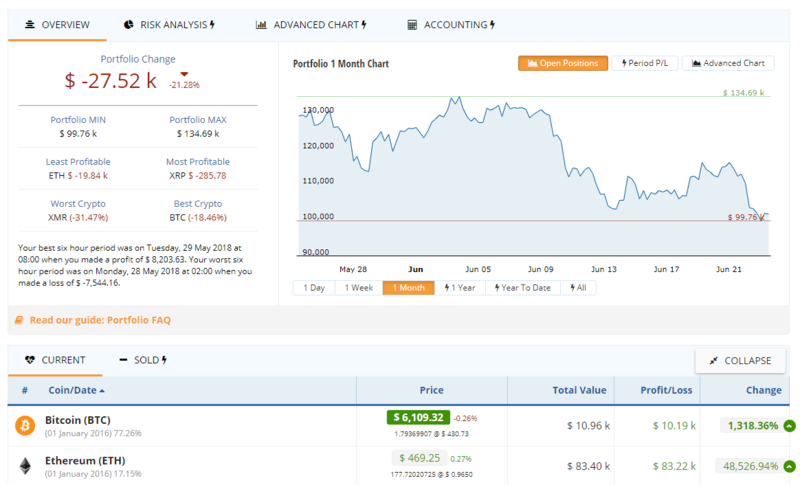 CryptoCompare’s portfolio manager offers very basic functionality, but it’s easy to use and has a decent interface. It’s 100% free, browser-based (mobile app’s in development), has basic charts, and an accounting (to calculate tax obligations) function. There’s no functionality to automatically import transactions from exchanges. This makes it appropriate for beginners (or if you’re not making many trades), but unsuitable for those frequently trading back and forth. Looking for more options? Check out these alternatives. This tutorial shows you how to import live market data from CoinMarketCap. There’s a Google Sheets template here. This is an excellent Excel template. Think I should check out something? It can be a lot to take in at first! Which part don’t you understand? Let me know and I’ll point you in the right direction. I use Delta on my Android phone. It has some nice features like being able to increase the font size and track coins from when you bought them to 1hr ago. It has a watch list and links in with most exchanges for up to date coin info. You have to input the data manually but that doesn’t take long, unless you have loads of different coins bought and sold lots of times. Really it’s only good for once off or small buys/sells and a HODL attitude. I like the fact that front and centre is my profit and how much my coins are worth overall. I keep checking it all day and some times at night. It’s addictive to check my portfolio. I’ve read more and more positive reviews of Delta, with recommendations to use it over Blockfolio (although no different functions immediately stand out). Have you tried both or just Delta? CoinTracking has excellent functions, but the price tag to upgrade beyond the free version is a bit much for small investors. Nothing else (except maybe Altpocket in the future) comes close though. Planning to write-up something more detailed about in the future. I use both Blockfolio and Delta. Each has it own positives and negative and I suppose it’s really down to personnel choice and the features each person likes or not. Both serve me in my Cryptocurreny quest of buying and HODL. I do occasionally trade if I have the time and the market looks like it will dip. I just use the philosophy of if a coin has jumped a massive amount over a very short period of time it will eventually dip 10-20%. so sell high and buy low. E.g. As of now 05/01/2018 Ripple, Cardano and Stellar are down 13% in the past 24hrs. If I was to trade more then I would use CoinTracking. Unfortunatelly Cointracking is very expensive for amateurs. We would like to have something free or cheap to keep track of our intraday trades at different exchanges using their APIs. CoinTracking is expensive. It has some excellent functions which make it worth it IMO, but I understand where you’re coming from. The alternatives I mention at the bottom of the post are all improving over time. I see AltPocket mentioned more and more (has API imports for at least some exchanges) and I continue to see good things about Matrix Tracker. Alternatively, you could look at adapting some of the Excel/Google Sheets templates linked in the post. Cointracking is super confusing and Blockfolio is really basic. One service that I recently came across is http://www.cointracker.io which sort of combines best of both worlds and it’s free. I recommend checking it out. Thanks for commenting – haven’t come across this one before! I’ll check it out! Recently I also found out about the service for cryptocurrency accounting – FinTab. As far as I know they are still in the beta version, but it looks promising. It would be nice if someone did a review about the FinTab service. Thanks for letting me know about FinTab. Looks interesting – I’ll see if I can put something together! We at KryptoGraphe – http://www.kryptographe.com have developed a free cryptocurrency portfolio manager for Android and iOS devices. We have tried to keep the app extremely user-friendly with a modern user interface and lots of useful features. Thanks for commenting and making me aware. I checked it out, but don’t think it compares well against Blockfolio or Delta in its current state. Having automatic imports from exchanges from the get-go is excellent though – Delta/Blockfolio are only just getting that sorted out. I’m happy to inform you about new features in our app post the latest update. I’d love for you to check it out and share your feedback. We now have automated alerts, P&L report, Tax basis report and are GDPR compliant among other things. Restarted CoinFolium again: https://coinfolium.com/ – Still in Beta and a lot of work to do. We have a Mobile App in the pipeline and a lot of upcoming features. Just quickly checked it out and it looks cool! I’ll get it added into the post.